Skirt in lovely viscose mix. The quality is a litle bit creped and slighly stretchy. Perfect and flattering cut for feminine curves. 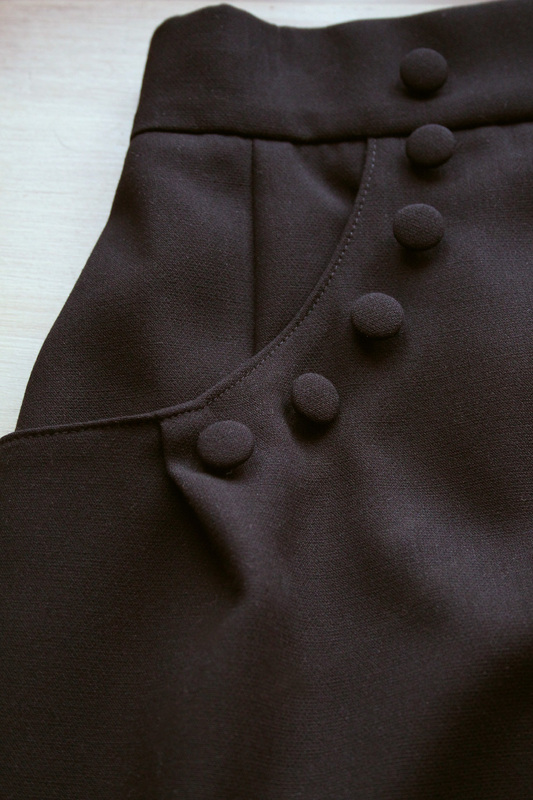 The skirt is lined with silky jersey. Covered small buttons by the pocket line.